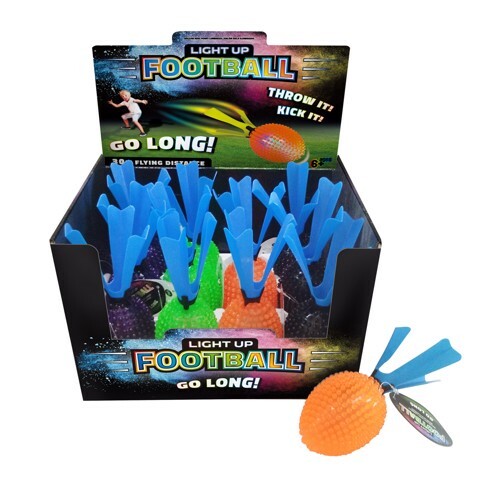 Light Up Bullet Football. 16 x 6.3cm. 4 Assorted Colours: Purple | Black | Green | Orange with Blue Tail. TPR | PE. 54G Packaging: Hang Tag l 12pcs in SRT.